Here at Behind the Thrills, we love us some Theme Parks. No doubt about it. However, there is a great big world out there, and sometimes we need to take a step out of the parks and look at something else. Join us as we take a look outside of the world of theme parks and into the world of movies, music, television, comics, hotels… Pretty much anything else we happen to stumble across. Whatever we look at will have some relation to the theme park world, granted not directly, but in a round about sort of way. So join us now as lift the safety harnesses, throw out your cup of Butterbeer, and take a walk… Offsite. Disney is no stranger to big budget under-performers. With Prince of Persia, and Tron: Legacy making just under their projected grosses, it was no surprise to anybody that they needed another Alice in Wonderland scale big hit and fast. 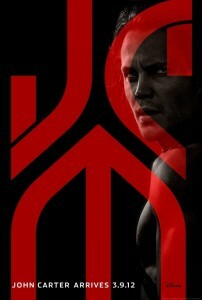 Enter, John Carter. With a beloved century old story, a trusted director in Andrew Stanton of Pixar fame, and a mega-budget of $250+ million, this movie was going to be a sure hit! Right? 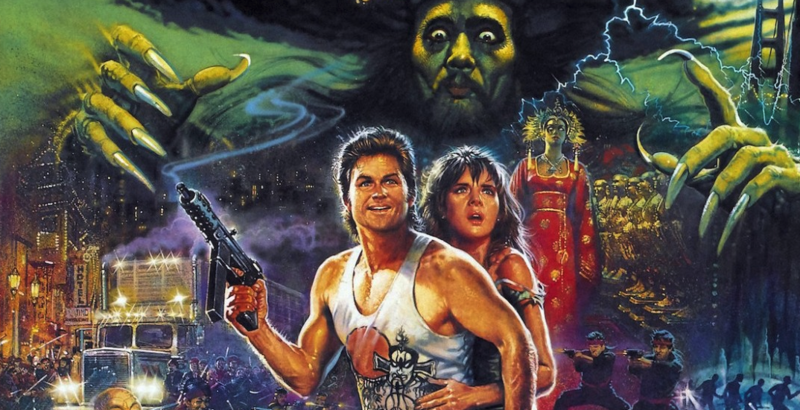 Unfortunately, much like Disney’s recent larger than life, live-action films, this movie was also plagued with the bad marketing and negative buzz that Tron and Persia also received despite both being modestly well received. Based on the classic novel by Edgar Burroughs, the film tells the story of John Carter (played by Taylor Kitsch), an ex-patriot solider who is asked to come back and fight for his country in the Arizona territory. After some exciting fight and chase scenes he discovers a portal into the world of Barsoom (Mars) and becomes the prisoner of a large green alien race known as the Tharks, he later becomes united with a princess who is destined to be married in order to save her people, and to sum of the rest of the movie, John Carter intervenes. John Carter is not a bad movie. However it does suffer from the same problems that most other children’s fantasy book-to-film conversion end up with, most notably having some awkward moments and iffy dialogue. Also this movie had a lot of excess weight that could have easily been left on the cutting room floor. For example, the whole sequence involving the arena could been shortened or cut all together, and only ends up serving a minor part of the film, and that seemed to have been consistent throughout the picture. With a running-time of around 120 minutes, it’s not doubt that John Carter is a bit on the lengthy side but does a great job immersing you into the unique world of Barsoom. The visuals were stunning, and the acting was solid for the most part. One of my personal favorite characters was Tars Tarkis, played by the always endearing Willem Dafoe whose motion capture performance really stood out from the rest. I found myself genuinely engulfed into the world of Barsoom until the end of the film, in which John Carter is setting the stage for the film’s ending, then hastily sent back to earth. For some reason it felt as if a rug had just been pulled from underneath my feat, and I ended up loosing interest in the film as it was desperately trying to wrap-up a subplot of how John Carter gave Edgar Burroughs’s the inspiration to write the classic book, which could have been left on the cutting room floor as well. Overall John Carter is a solid film, with a solid story, but unfortunately, due to its length does drag on at some parts. If your looking for a good sci-fi action film with lots of PG-13 violence, a beautiful co-star and stunning visual effects. Then there is no reason not to see this film. If you are a fan of Edgar’s original story, then this movie may disappoint. 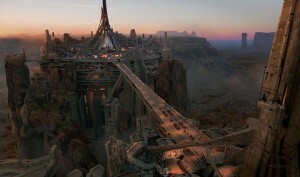 I give John Carter 6.5 out of 10.